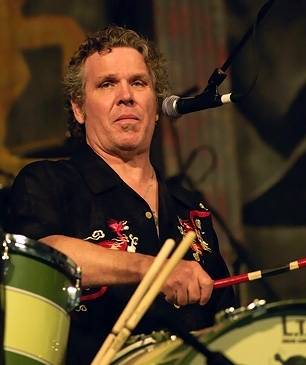 Drummer Doyle Bramhall, who was long a favored son in Austin Texas has dies at age 62 – reportedly he died in his sleep from natural causes. Doyle was a veteran of the Texas blues scene for over 40 years. 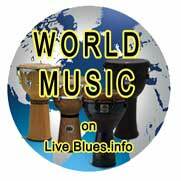 He first came to prominence as the drummer for The Chessmen, a band fronted by blues guitarist Jimmie Vaughan in Dallas in the 1960s. In the ’70s, he relocated to Austin along with Jimmie and younger brother Stevie Ray Vaughan and helped establish the city musically. Stevie Ray Vaughan played in Bramhall’s band The Nightcrawlers in the ‘70s before he became a prominent guitarist in his own right. As Bramhall was not only a talented drummer but also a singer and songwriter, Bramhall influenced Stevie Ray’s vocal style and wrote several songs the guitarist later made famous, most notably ‘The House Is Rockin’. He was also one of the first blues musicians in Austin to successfully kick his alcohol and drug habits and encouraged many other artists, including Stevie Ray, to do the same. Bramhall had also maintained a modest solo career of his own since the ‘90s, with three solo albums of which his most recent, Is It News in 2007 comprised entirely original material. He is survived by wife Barbara Logan and daughter Georgia Bramhall as well as son Doyle Bramhall II, who is an accomplished guitarist and has toured and recorded with Eric Clapton and also toured with Roger Waters.